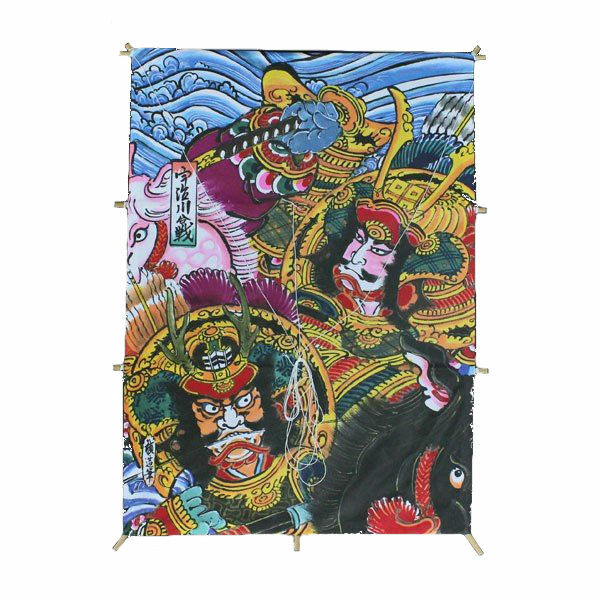 This beautiful kite features a picture by Teizo Hashimoto that depicts samurai warlords in the famous 13th century Battle of Uji River. Our kites are made from high-quality paper using traditions handed down over the centuries. This beautiful Japanese kite features a picture by Teizo Hashimoto that depicts samurai warlords in the famous 13th century Battle of Uji River.